The uncertainty foster children experience can be difficult, even if they are used to the displacement, with constant moves from one living situation to the next. Although their stay is only temporary, there are a number of small things families can do that can have a big impact in making kids feel welcome and comfortable while they’re there. It may seem obvious that one should tidy up before welcoming someone into the home, but the reasons why may not be as apparent. Regardless of where they came from, moving a foster child into a messy, chaotic living space can cause them anxiety and unease. When everything in a home is out of place, it’s easy for foster children to feel out of place too. Making a concerted effort to declutter before the upcoming arrival of a child not only has the ability to make them feel more comfortable, but it also offers up more space for their belongings, and creates a sense of organization that allows routines (and ultimately, life,) to flow more smoothly – something foster children are in great need of. Even if you don’t have the time, budget or creativity for a home decor project, adding a few small personal touches in a place that is just for them can be quite meaningful. Find out as much as possible about their likes and (such as their favorite colors, characters, animals, etc.) and try to include those things into their room. Or, ask them to pick out a few things after they’ve already arrived. If you prefer to keep the room where they’ll be staying a blank slate, simply create a welcome basket for them with items like books, blankets, snacks, clothes, toys, tailored to their age range and whatever you’re able to find out about their interests to make them feel welcome. Including pieces of them, like photos, school artwork or report cards throughout the house after they’ve settled in can help them feel a sense of home and belonging. As a parent, providing structure and authority for children is important, but it’s also necessary to give them choices. Often trapped in situations out of their control, it’s beneficial for foster children to be allowed some sense of empowerment in being able to make certain decisions for themselves, even if those decisions are seemingly inconsequential. Give your foster child a few different options and allow them to choose from them when it comes to what to eat for dinner on certain nights, what to watch on family movie night, or even which household chores they want to help out with. By considering their opinions and honoring their wishes on certain things, they will feel respected, valued and included as a member of the family. For more information about foster care services or foster care issues, contact us at (618) 688 – 4727. 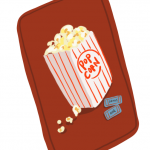 Create a new family tradition by spending Saturday afternoons at the library for a movie day. Marion Carnegie Library’s Children’s Department has a free weekly ‘Tween Movies’ event for families with kids ages 8 to 12 years old. Other weekly events include Wednesday ‘Teen Craft Nights,’ where there are occasionally special events like the upcoming April 3rd ‘Bob Ross Paint Night’ for teens and their mentors. 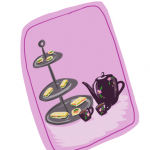 Back and better than ever, this year’s upcoming tea event will have all the fixings of a traditional tea including multiple tea and coffee selections, scones, sandwiches and other treats. Step back in time for this high society tradition with a visit to Jefferson County Historical Village, where families can learn about life in the village. 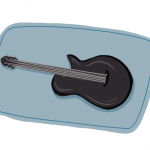 Calling all classic country music lovers… This annual Southern Illinois Guitar Show is packed with tons of local and regional talent featuring Jeanie Seely and Tim Atwood of The Grand Ole Opry. There will be vendors, food, and a singing contest you and the family won’t want to miss. 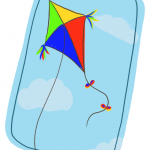 Take a trip to Edwardsville to fly kites at the park as part of a “statewide kite fly” hosted by the Illinois Association of Park District’s Flying for Kids event. Families can decorate their kites together, then send them up to watch them fly. Goodie bags will be given to the first 50 participants. Enjoy a day out and about at the fair with loved ones at the Locust Street Historic Fair. This annual event offers all kinds of modern and historic fun including antique cars, retail shops, food vendors, historical walking tours, craft demonstrations, a Civil War display, and more. Every foster families’ story is different; however, there are a number of situations – both positive and disappointing – that they are familiar with. To better understand and respond to various situation, many foster parents urn to available support, from social workers to therapists, and even books. The parent-child relationship is important, but the connection between siblings – adopted or biological- should receive just as much care and attention. This book explores the complex relationships between adopted and foster children and their new siblings, as well as the bond between them and their biological siblings they may have been separated from. Siblings offers insights on this experience and strategies to help foster these different child-to-child bonds in healthy ways. Through all the tough moments foster parents may endure, having to say goodbye to a foster child can be the most difficult. This book outlines the different ways this affects foster families and provides some ways to help everyone make it through this challenging time when it comes. Biological or adopted, each new child brings a new experience for their parents. This book shares true testimonies from adoptive families all over the world that provide wisdom gleaned from the many lessons learned. These stories illustrate both unique experiences and common obstacles throughout the adoption process and touch on various challenging aspects of the journey that may crop up in everyday life. Parents often experience anxiety when preparing to welcome a new child, whether the child is biological, adopted or taken in from foster care. Those who are expecting a child coming from trauma may experience even more uncertainty. This book is written to address the experience of each party: the child, the parents, as well as others affected by this transition, in order to help calm concerns and navigate expectations. The adoption and/or “fostering” process is a very specific experience, but welcoming an older child into the family is an even more distinct part of that journey. This book is widely considered to be a “classic” among adoption and foster care books, as it was written through the lens of each party (i.e. the child, the parents, as well as others affected by this transition) in order to help calm concerns of the family as a whole and navigate expectations to create a comfortable experience for all. There is no perfect roadmap to fostering or adopting, but these books can offer lessons and both personal and professional advice that can guide families through the journey. Our many programs are designed around creating safe, healthy environments for Illinois youth, in order to encourage their confidence and identify their full potential. We understand that some of the children we serve endure difficult situations. That’s why our Behavioral Health program provides emotional support and counseling to children and families, to offer healing for past traumatic experiences, as well as to help them find opportunities through their challenges. Our Preventative Services offer education for families in order to prevent challenging issues like substance abuse and teen pregnancy. Our coalitions are recruited to investigate circumstances like potential human trafficking cases to avoid recurrences whenever possible. We set our adolescents up for success by helping them make a smooth transition from foster care to independence, with our Independent Living Opportunity, which allows them to live in their own apartment while receiving guidance on money management, meeting educational and professional goals. The support young people receive in their youth goes a long way to build their success further down the line. Young adults who are pregnant receive support through Our New Life Parenting Program, which helps them to develop nurturing, healthily parenting skills. Mental health is crucial to overall well-being, especially during the pivotal years of youth. We provide Mental Health First Aid training for adults, which helps them to more effectively respond to behavioral incidents by trying to understand the causes of that behavior and how mental health plays a part in them. Starting in October, Kelly Bandy will become the Chair of Hoyleton’s Board of Directors. Kelly has been a member of the board for over 10 years, most recently serving as its Vice Chair. Kelly and her husband, Eric, are long-time supporters of Hoyleton. Both are native to Southern Illinois and have a deep passion, and commitment, to youth and families throughout the region. They operate a family business, Bandy’s Pharmacy, inspiring health and wellness throughout three communities. Today, Bandy Pharmacy has locations in Centralia, Salem, Irvington and Mt. Vernon. Hoyleton was first introduced to them through a business partnership; their pharmacy in Irvington, supplies Hoyleton’s nursing staff with the necessary prescriptions for the youth living at Hoyleton’s residential campus. Irvington is just a short drive away from there. As the business relationship grew, Kelly and Eric’s fondness for Hoyleton’s work grew, as well. “Hearing stories from foster parents or kids in the residential program really made an impact on me. Those stories really put things in perspective for my life. Kids are going through different trials that most, including me or our kids, don’t experience in everyday life. Thankfully, Hoyleton’s been there for youth and families to count on for almost 125 years,” says Kelly. Eventually, Kelly joined the board of directors. Her motivation was to further her advocacy efforts for the youth in residential services with the goal of helping them create a quality of life she desired for her own children. Kelly still has the same motivation and calling today, but her focus has broadened. When Kelly assumes the chair position, she’ll focus on sustaining and improving all the best-in-class programs and services Hoyleton offers. She will explore ways to expand services to meet more needs, as well. In all, she’s encouraged by the many transformational outcomes she’s witnessed in her many years on the board, but she knows there are many more people to serve. Thank you, Kelly, for your dedication to Hoyleton’s work and to the over 3,000 youth and families Hoyleton serves every year. 1)You include our youth and families in your holiday traditions. Christmas 2018 was the most generous Christmas donation drive we’ve had in our history! Long-time supporters, and several new ones, donated money and purchased toys for our children and youth in foster care. You made It a truly memorable season, and so many young ones felt your compassion. 2) You share our mission and work with your friends, family, and community. 3) You understand the importance of meaningful community partnerships. A week doesn’t go by without receiving a call or email from a local business or organization leader, asking how they can help support our work. We’re all stronger when we work together on solving complex social issues facing many, and it’s an incredible feeling to know a “collective impact” mentality is valued greatly in Southern Illinois. 4) We know you’re committed to furthering our mission. Many of you have supported our mission for decades. Others of you come from a family that has supported us across generations. And, a growing number are new to the Hoyleton community. Regardless of your time with us, we always know we can count on your commitment to furthering our mission. Your devotion to our organization is beyond words, so we can only hope our love and commitment to those we serve every day will show our gratitude. Happy Valentine’s Day and thank you for loving us so dearly! 2004 was a significant year for Vicki Sharkey. Although she didn’t realize it at the time, it would be the year she’d begin a celebrated 15-year (and counting) career at Hoyleton. Vicki is a Nurse Case Aid at Hoyleton, and she supports our nurses that care for 40 youth living at the residential services’ campus. She has several responsibilities in her day, but her key duties are to coordinate transportation for youth to – and – from medical appointments and to record those provider appointments to ensure youth are meeting compliance standards with the State. She has a big responsibility, but in her tenure she’s learned a lot from her co-workers and bosses. She’s also learned important life lessons from the youth she’s supported. “Many of our kids get a bad rap, but people need to know that with the proper support, they can be productive in life. People must take time to understand each situation. They could then learn things for their own life. I know I have learned a lot”, says Vicki. The art of patience is one skill she’s learned and mastered in her time at Hoyleton. She faces many challenges, but she has the ability to break through the stress and focus on helping each youth uniquely – based on their personality and needs. This approach takes extra time, but everyone benefits in the long-run. Fifteen years ago, Vicki came to Hoyleton looking for a job and the desire to work with kids. Now, she’s given so much to the organization and to others, and we can’t thank her enough for her commitment to our mission and youth. She represents the positive attitude, desire, and compassion that we hope every team member shares in his/her work, and we’re grateful she’s on our team. Congratulations, Vicki, on your 2018 Employee of the Year Award! If you visit the Hoyleton Campus in Hoyleton, Illinois on a weekday around 8:30am, it might look like the streets in most neighborhoods. Youth scurrying around, making their way to school just-in-time for the opening bell. The campus is where almost 40 boys and girls live 24 hours a day, seven days a week. Each has their own unique story, but all have been referred by the State. This year, the Residential Care program at the Hoyleton campus was granted Tier One status from Illinois’ Department of Children and Family Services. It’s a classification that only a few similar programs in Illinois receive. The status is based on key performance scores that measure the program’s ability to successfully retain youth in treatment, present opportunities and enable youth to grow in core-life areas. “The Tier One classification shows we’re looking at outcomes, and the State is measuring our performance on ways we’re treating youth. It indicates the viability of our program. Data measures our work which shows we perform at a higher level. And that makes Hoyleton a preferred provider to the State”, says Brice Bloom-Ellis, Chief Program Officer at Hoyleton. Hoyleton’s Residential Care staff, including counselors, administrators and educators, work together to ensure each young resident has the tools and structured experiences, like school, to move from their challenging past into a new, productive future. A significant factor to the programs’ success is the staff’s willingness to improve at every step. 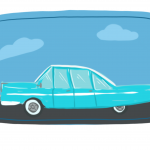 Just last year, the program adopted an evidenced-based practice model developed from mental and behavioral health experts at Cornell University. The practice model is called CARE – Hoyleton is just one of only 50 agencies in the United States chosen by Cornell to implement the model. Over the next year, more Hoyleton staff will become CARE trainers, and the practice will be fully implemented in that timeframe. The new practice will help secure Hoyleton’s Tier One status for years to come, which will give youth the quality, personalized care they need and deserve. To learn more about Hoyleton’s Residential Care program, click here. Comments Off on Join Us for a Celebration of Hoyleton Heroes on February 22nd! Join Us for a Celebration of Hoyleton Heroes on February 22nd! Please join Hoyleton Youth & Family Services, and other fellow heroes, for a night of friends, food and fun at Hoyleton’s annual A Night for Heroes – our salute to everyone that makes Hoyleton’s work possible. A cash bar at 6 pm kicks off the evening followed by a wonderful dinner at 7 pm. A Night for Heroes culminates with Awards, the Fund-the-Need auction that provides support to every one of Hoyleton’s nearly 20 programs and services for nearly 3,000 youth and families throughout southern Illinois – and, music and dancing with Butchwax and the Hollywoods! This year’s event will be located at the Four Points by Sheraton in Fairview Heights.